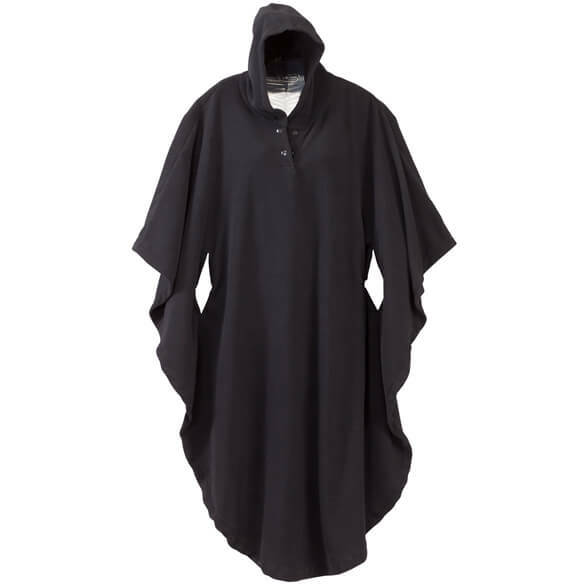 A cold-weather essential for any wheelchair user, this self-warming cape will keep you or a loved one toasty and comfortable. 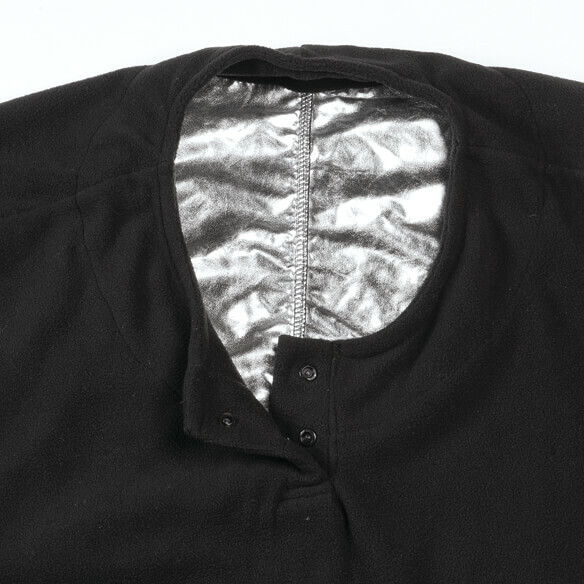 The fleece-like side is soft and cozy, while the soft-touch aluminum lining across the back and shoulders holds in body heat for lasting warmth. Mid-length back won’t get in the way while seated. Long front covers the lap and legs. Wheelchair cape is perfect for travel, outdoor events and more. Choose from 2 styles, with or without a hood. 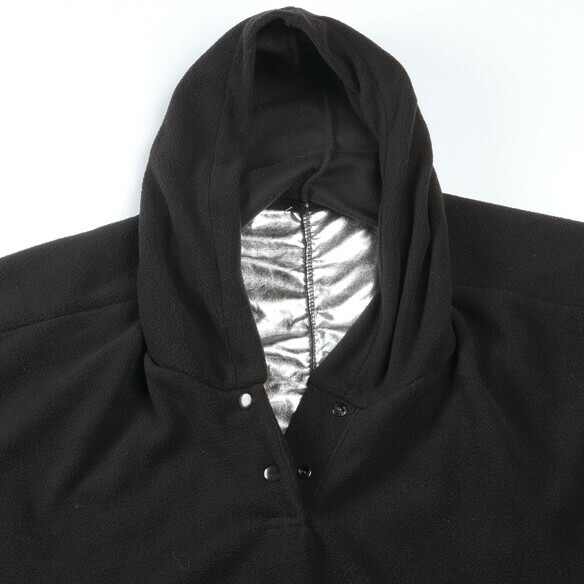 Fleece cape made with 90% polyester/10% aluminum. I'm constantly cold regardless of the temperature that we have set in our home. I'm hoping this will assist me in staying warmer. Since we get snow, I bought this to keep in the car in case we were ever in an accident or stranded - it will help keep us warm. Disable Vet that is always cold. Thought this would help. I get cold at times and this looks like it would keep me warm. BEST ANSWER: Thank you for your question. Unfortunately no this does not have pockets. We hope this information will be of help to you. Can the Aluminum in the back of the warmer be in direct contact with skin? BEST ANSWER: Thank you for your question. We would recommend not allowing the cape to have direct contact with your skin. We hope this information will be of help to you.